Last month popular tipster OnLeaks on his Twitter account shared the first 5K render of the upcoming OnePlus 7 giving us the first look on the design of the upcoming device. Now, some new leaked OnePlus 7 case has revealed the full design of the device from all angles. Leak render images from OnLeaks have already revealed that the upcoming OnePlus 7 will have pop-up selfie camera module and the same we can find on the leaked case of the OnePlus 7. The leaked OnePlus 7 case shows the pop-up selfie camera cutout on the top left edge and the microphone. At the bottom edge, the case has the cutout for the speaker grill, mic, USB Type-C port and a big cutout which seems to belong to the SIM card slot. Now moving to the left, we have the Volume rocker keys, and on the right side, we have the alert slider and a power key. The previous renders have revealed that ObePlus 7 will comes with notch-less full view display. Since there is no physical fingerprint button appear on the phone, we expect the OnePlus 7 to feature an in-display fingerprint sensor. 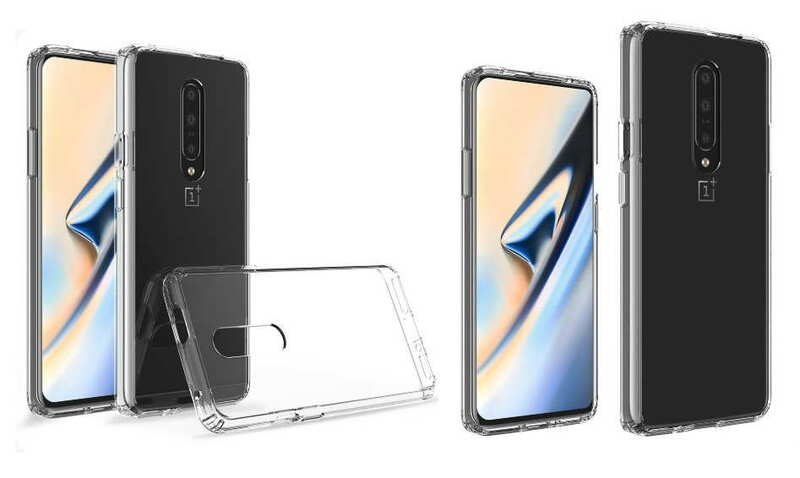 Now moving on the back, the OnePlus 7 case shows the large cutout for triple rear camera setup with LED flashlight. Additionally, OnePlus 7 is expected to be launch this year at some point. Alongside, the company is also expected to launch the first 5G variant of its OnePlus 7 device. Back in December last year, OnePlus CEO Pete Lau in an interview with Engadget said that OnePlus is working to make sure that the company’s first upcoming G5 smartphone available to customers for under $1,000.